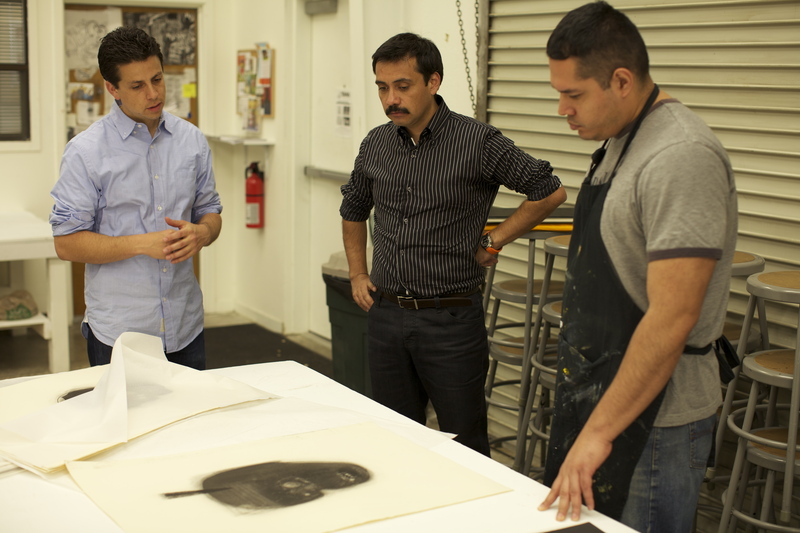 During the first week of April, TANA hosted Chilean artist Ricardo Fuentealba-Fabio, a professor at the Universidad Católica in Santiago de Chile. 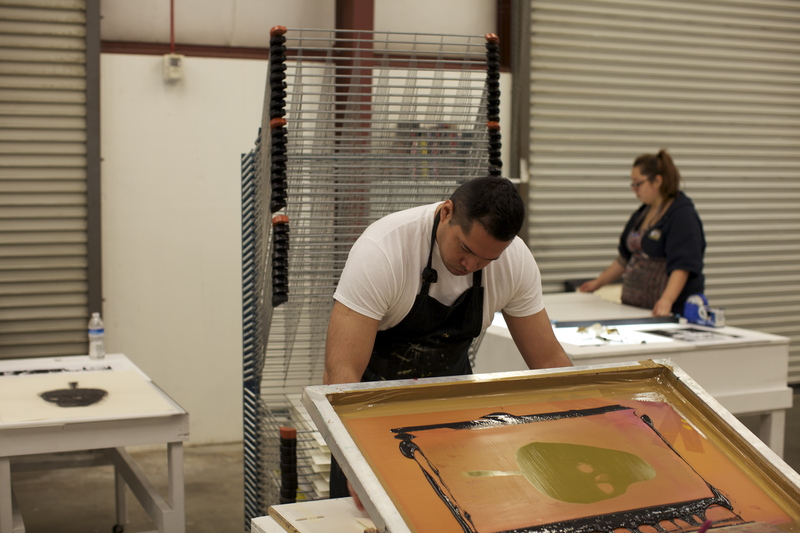 Part of a week long trip, TANA worked in partnership with the UC Davis Hemispheric Institute of the Americas. 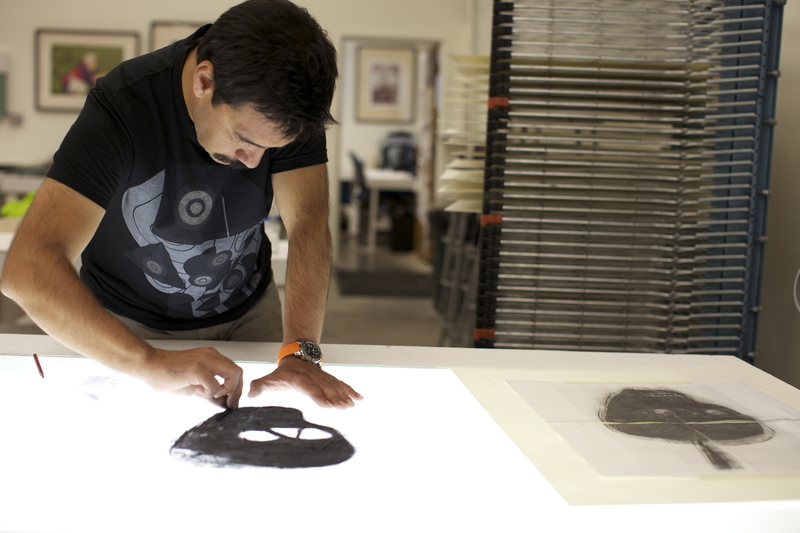 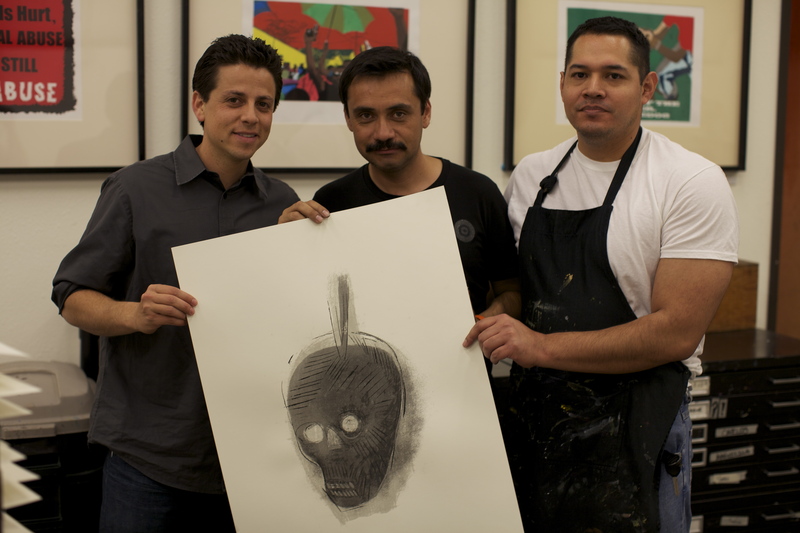 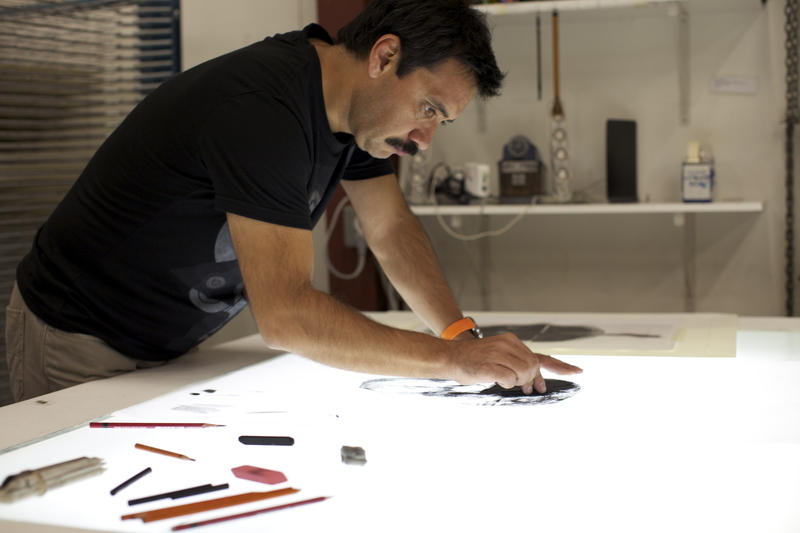 TANA Artist-in-Residence Jaime Montiel and Roque Montez assisted Ricardo in translating a charcoal drawing into a limited edition silkscreen print. 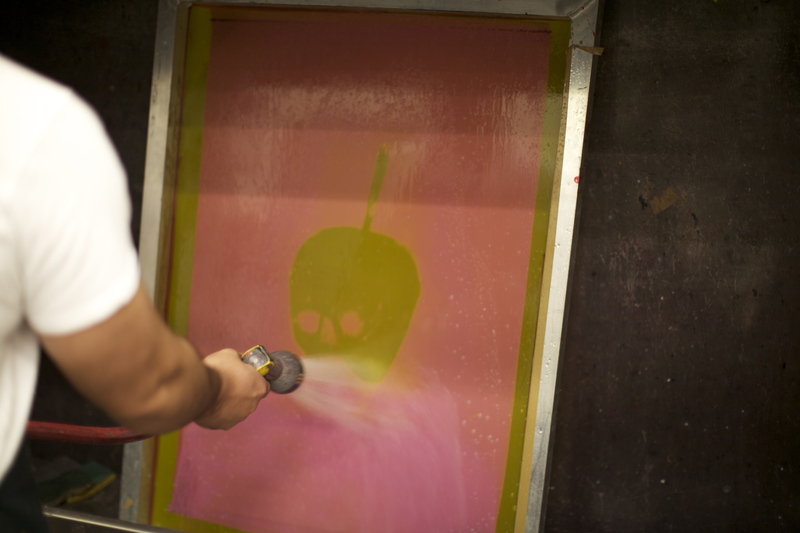 The original rendering of a skull is part of a larger series dealing with memory. 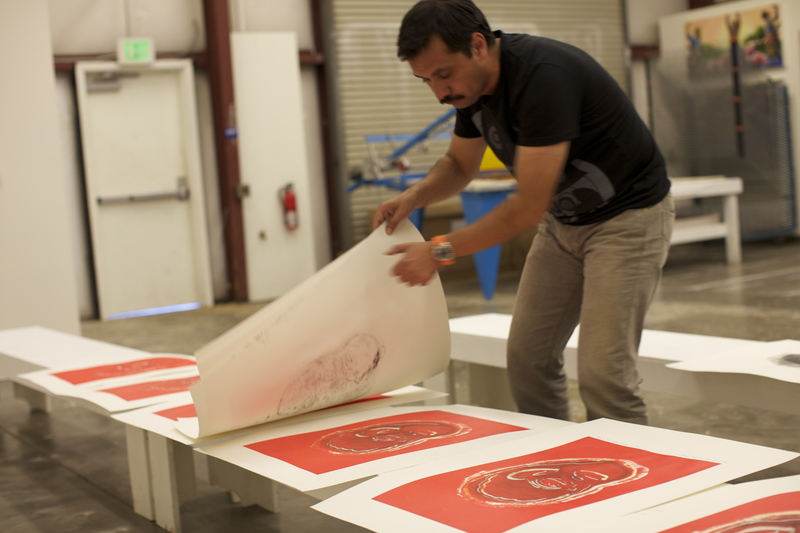 Ricardo received his Doctorate in Fine Arts in 2007 from the Universidad de Barcelona, Spain and has exhibited in both Europe and Latin America.